LAS VEGAS, NEVADA (January 29, 2013) Digispec® was recently awarded the 2013 Counselor Distributor Choice Award for its flagship product line of amazing and versatile mouse pads. "We're thrilled to be honored again for the thirteenth consecutive year for this award" exclaimed Paula Piano, director of sales and marketing. "All of our efforts, great customer service, and quality work have paid off while we continue to strive for excellence in everything that we do and it's nice to be recognized for that." The award was announced earlier this month at The ASI Show! Orlando where Digispec® won under both the mouse pads category and the newly added hospitality items category. Digispec® provides a great line of mouse pads offering every customer a broad range of choices including the most popular Origin'L Fabric®, the very effective window Frame-it Flex®, the MousePaper® Note Paper Mouse Pads, and Vynex®, the industry's standard hard surface pad. Digispec® is also celebrating another incredible milestone with its 30th anniversary as an industry leader in mouse pads. 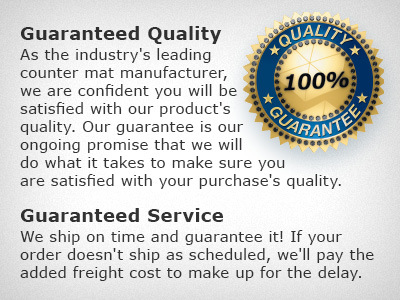 Founded in 1983, Digispec®, a manufacturer of custom mouse pads, uses state-of-the-art equipment and quality, American-made materials. When the company purchased Minneapolis-based XJD Corp in 2002 and acquired Linden, Utah-based DataPad 2003, it became the largest mouse pad manufacturer in the promotional products industry. Since 2000, Digispec® has been honored more than 50 times by industry associations, publications, and distributor companies, including receiving the Counselor Distributor Choice Award for 12 consecutive years and being named by Counselor magazine as the Best Places to Work in 2008, 2010, 2011, and 2012. The company received over 10 PPAI Supplier achievement awards, most recently winning gold in the Offset Process category, as well as four PPAI Supplier Star Awards of Merit. Digispec® was also the recipient of more than 10 ASI Distributor Choice Awards. Digispec®, along with its sister companies Visstun and CounterPoint, is part of the Time's Up, Inc. family of companies founded by Ed Hamilton. Each division operates independently, but all three are headquartered in Las Vegas. For more information please visit us at www.digispec.com.